7 Days of Awesome: A Creation Tale by Shawn Byous is an extremely fun book! I love the simple rhyming throughout the book and the delightful illustrations. I also really like the questions throughout the book because they really get kids thinking which is always a good thing. This is probably one of the most fun ways for kids to learn about creation and certainly one of the most fun ways to teach them. My girls absolutely love this book and it would make an absolutely perfect gift this Easter! 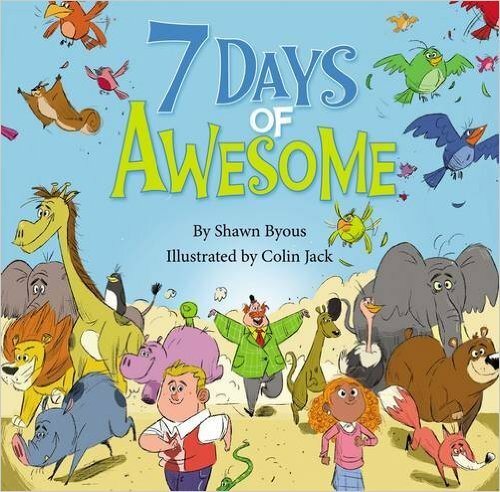 You can find 7 Days of Awesome: A Creation Tale by Shawn Byous on Amazon, Barnes and Noble and other bookstores.